Home » Espresso and Coffee How To Articles » News » New Product Arrivals » Urnex Wipz! Synopsis: Keep your coffee bar clean! Clean! Clean! Staff favourite. With the specific needs of the Barista in mind, Café Wipz™ are made of an extra-thick material and packaged in a flexible container for easy access and use around the café. The product formula takes special care to avoid the use of fragrance without sacrificing cleaning power. 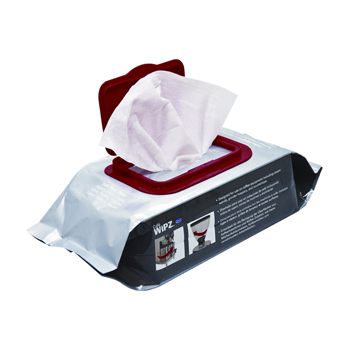 Each package of 100 individual wipes offers a cost-effective solution to everyday clean-up and helps to ensure that users will deliver great tasting beverages and a clean café appearance throughout the day.